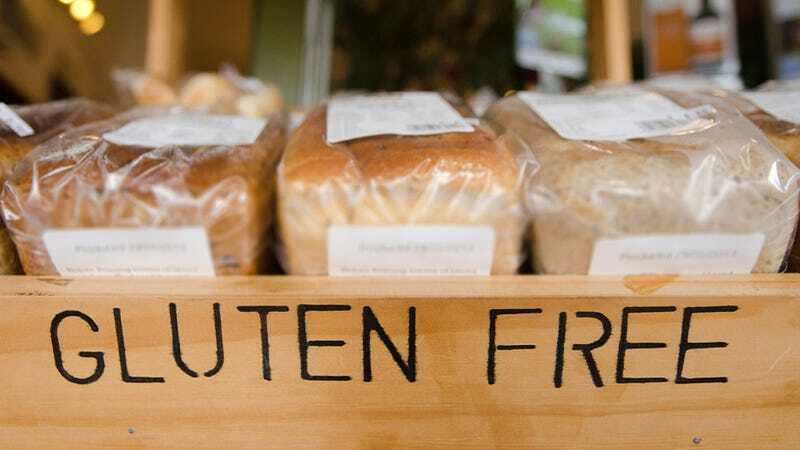 The number of households buying gluten-free products has more than doubled since 2010, while sales for gluten-free companies like Udi's and Glutino were up by 50 percent last year. Gluten-free is now big business, and dominant national brands are trying to tap into what has become a billion-dollar industry. Only 1.8 million Americans have celiac disease, an autoimmune disorder of the small intestine, with the only effective treatment being a gluten-free diet. An additional 18 million people are believed to have "gluten sensitivity," a spectrum of less-severe disorders in which gluten has adverse affects on the body including digestive discomfort, skin problems, or joint pain. But according to a piece in The New York Times, these are not the people who are driving the gluten-free market. [T]here is a growing population of people who have somehow heard that gluten-free is healthier or think of it as fashionable, and when they remove gluten from their diet, they're inadvertently taking out a lot of processed foods and are really feeling the benefits of eating healthier foods. Bigger brands like General Mills are rushing to get into the gluten-free market. (Sales of gluten-free products is projected to bring in more than $15 billion in 2016.) The company changed the recipes for Chex cereals and several Betty Crocker products to be gluten-free, and then began marketing them that way. Ultimately, people in the food industry are confident that this isn't just a fad, and believe that gluten-free eating is trend that has "legs," as the general public becomes more concerned about processed foods.